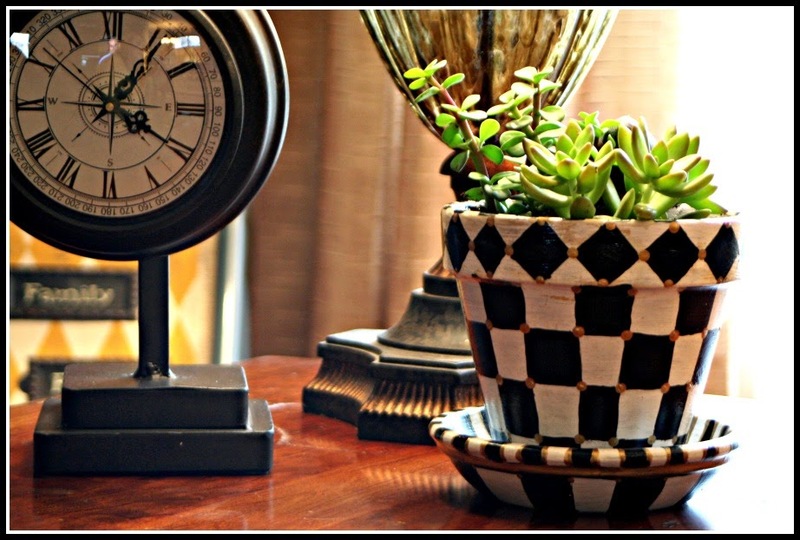 Have you seen the new Mackenzie - Childs catalog? Every page is full of gorgeous eye candy. I love the whole Courtly Check line. Every single piece!! 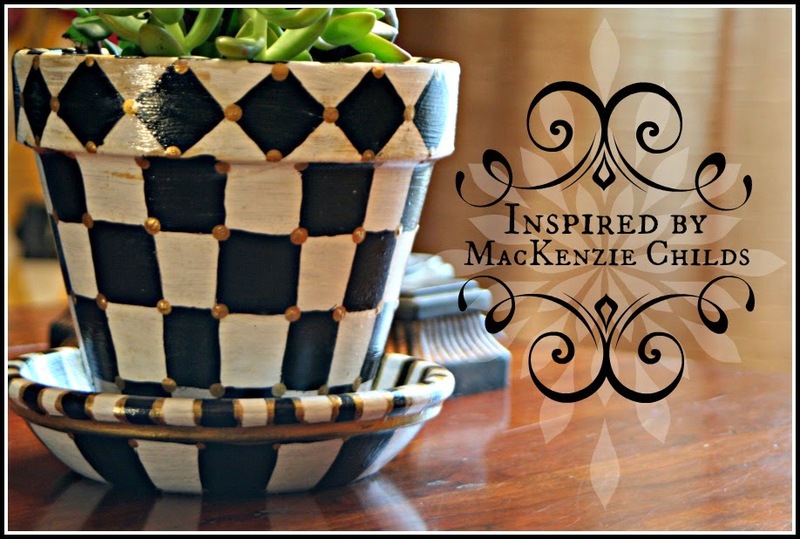 You can describe MacKenzie - Childs products as gorgeous, fabulous, beautiful, unique, original, definitely high quality. 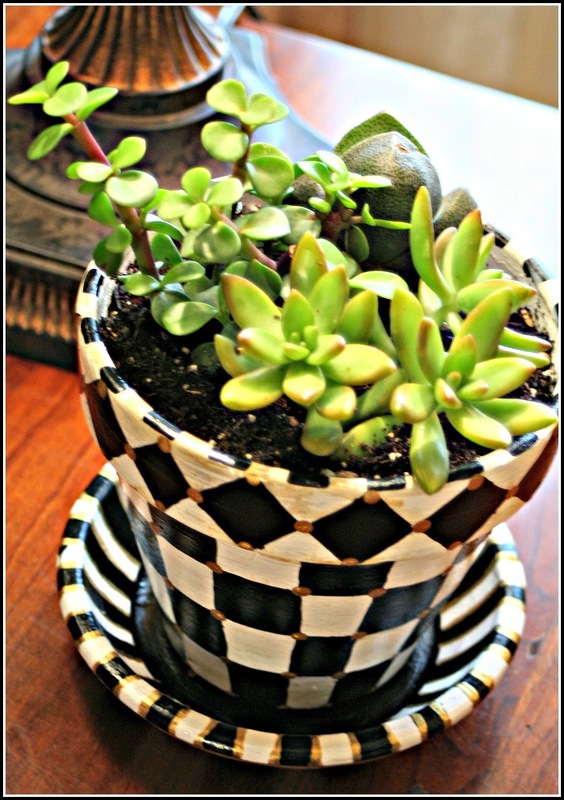 Affordable, budget friendly, inexpensive??? No, you would never use those words to describe MC products. 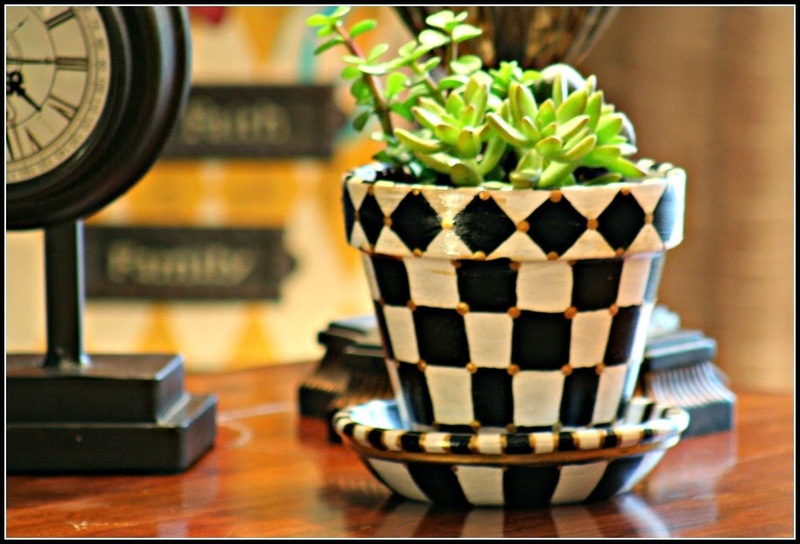 This little black and white check pot was inspired by MC. 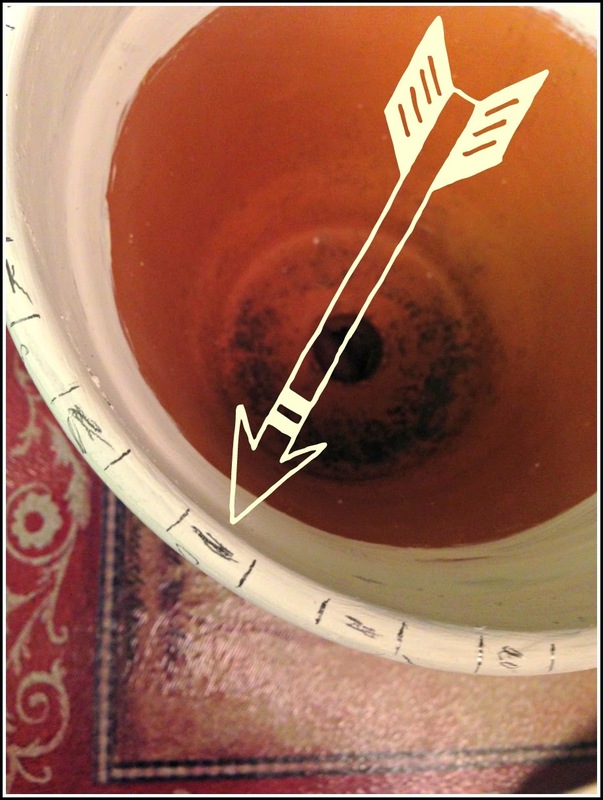 First off I painted a few coats of white acrylic paint onto a terra cotta pot. Making sure to let it dry between each coat. 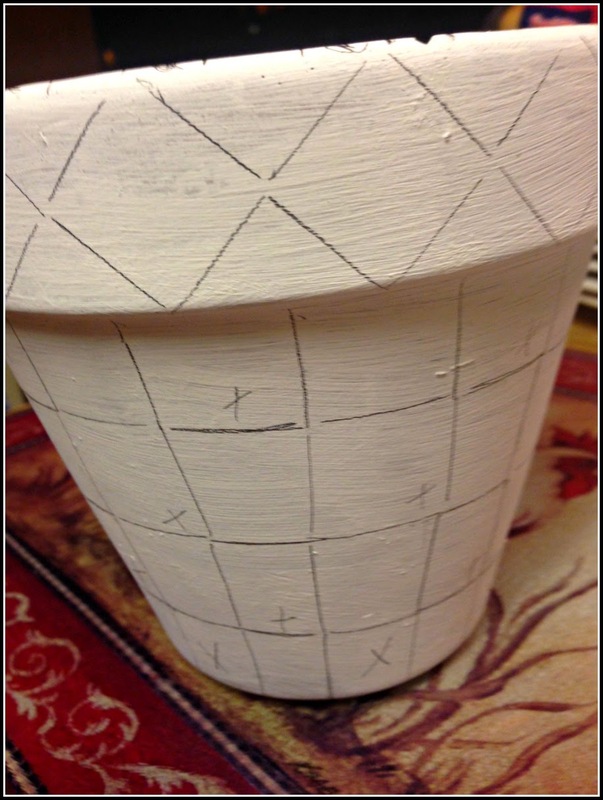 I used a pencil to sketch the pattern onto the pot. I scribbled with the pencil a bit to mark the sections I wanted to paint black. 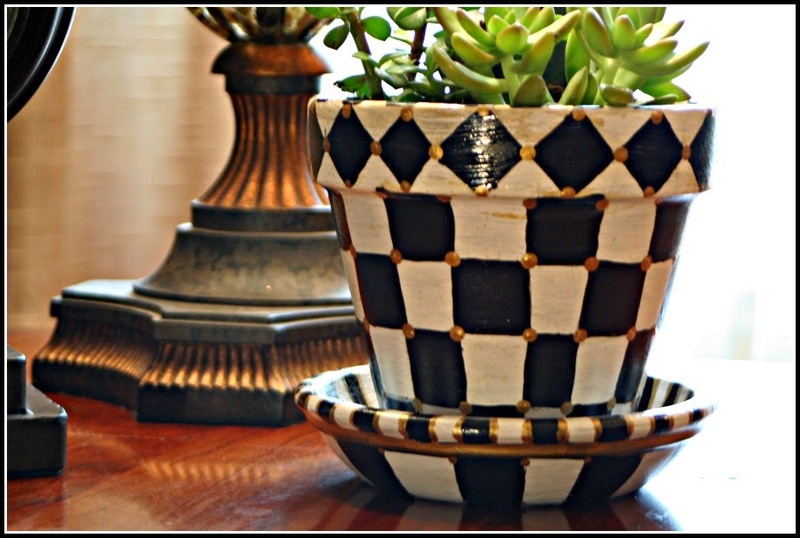 After I painted the black and white check pattern, I edged everything up with a metallic gold acrylic paint. When the paint was dry I did a few layers of gloss Mod Podge. Then I ran over to Home Depot for a plant. It was slim pickins at the end of February. Winter be gone! 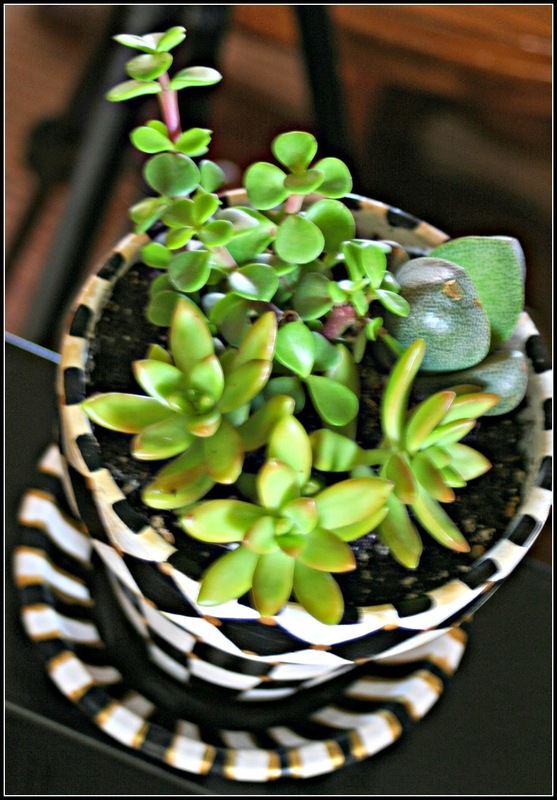 Succulents and a few cacti.....mmmm how Nevada I thought. 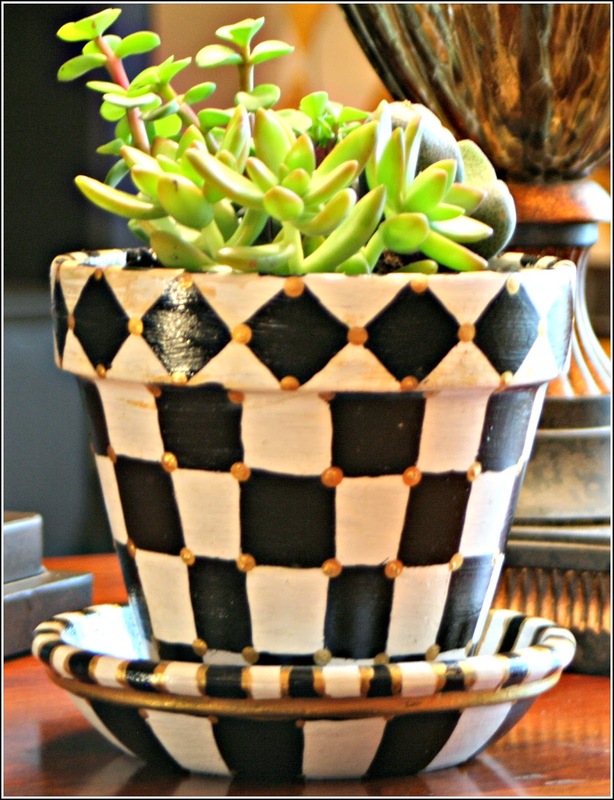 I am on the fence about my MacKenzie - Childs inspired pot, I do love it, it is eye catching across the room. It was easy to paint and I will probably make a few more. But I still dream about ordering so many of the gorgeous pieces from the catalog. 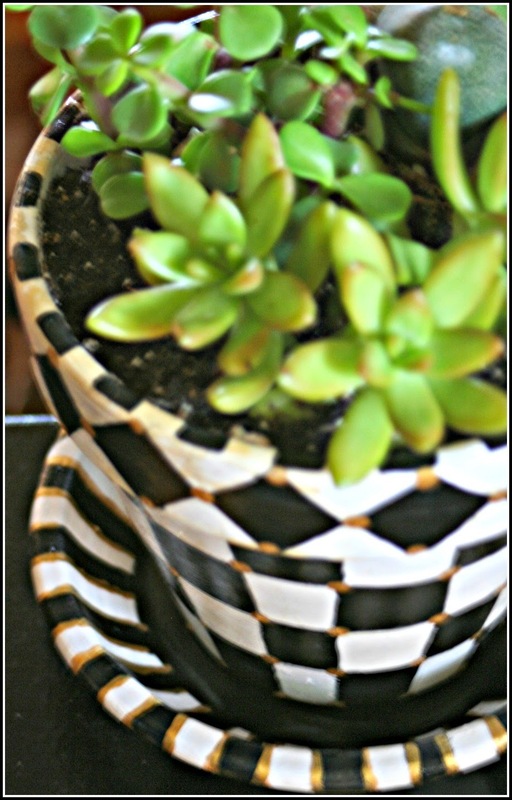 Thank you MacKenzie - Childs for the inspiration! Thank you for stopping by. I appreciate you taking the time to visit. Sign up to follow me by email, or on Pinterest or Facebook. My friend gave me the catalog and I am obsessed now. Dang her!! Thanks Marty!! I am going to make some more soon I love them! Thank you for stopping by! Just called Paula so we can make plans to make terrariums. That will be a fun post too! I love McKenzie Childs too. The checks are my favorite. You did an excellent job on the pot. I immediately thought MC. I also wanted to thank you again for the card set. They arrived a few days ago, but I was so crazy busy last week I didn't get a chance to sit down and blog. They are so gorgeous! And then you sent two sizes and both colors? Wow! I am so excited. I will blog about them soon. Thanks again...you are so sweet! Fantastic love it ! Thank you for sharing Lori.